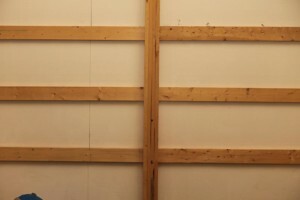 This is a foil faced rigid insulation with a durable double woven white backer. 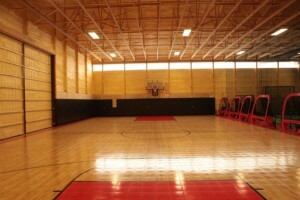 It is designed for heat reflection and moisture control. 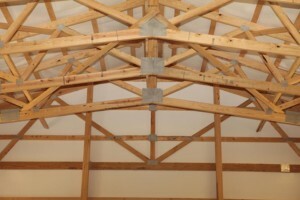 It is installed directly under the steel sheeting on both the sidewalls and the roof. 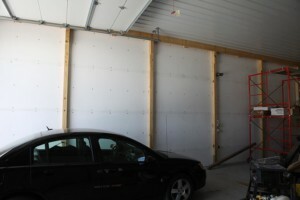 All joints are taped or spray foamed to provide a very air tight and weather resistant structure. With this package the steel sheeting is mounted directly on the outside and the 1 inch P2000 is installed from the inside between the eight foot column spacing. All joints are taped or spray foamed. 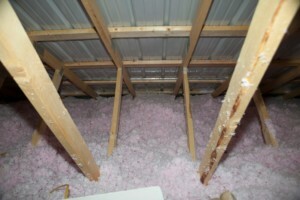 The ceiling is then covered with a steel liner panel and insulation is blown into the attic area. Typically the blow-in is done to an insulation rating factor of R32. 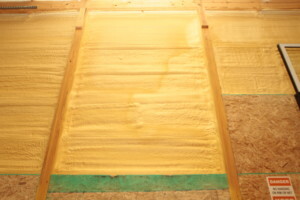 Six inch none compressed fiberglass batts offer a greater insulation factor in the walls with an R19 rating. These batts are installed between the columns in the nine inch gap leaving three inches of air space for heat conduction. 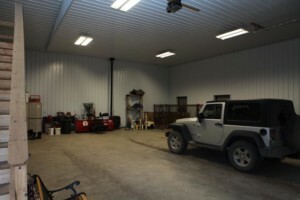 After this a steel liner is installed on both the walls and ceiling. 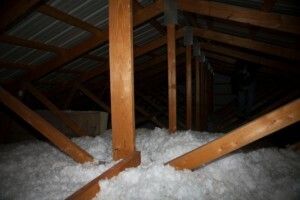 Insulation is then blown into the attic area. This method of insulation coats the entire inside of your building. Covering the wood frame and the backside of the the steel sheeting offering a very air tight and solid structure even in high winds. It can be applied to any thickness to obtain the desired R-value. For an inside finish it can be painted, or for a more professional appearance install a wood or steel liner on the walls and ceiling.